Gelsenkirchen - FC Schalke 04 will be keen to halt an alarming run of results when they host Borussia Mönchengladbach on Saturday (15:30 CET), having seen their title challenge come off the rails somewhat of late. Had the Royal Blues picked up maximum points from their last three Bundesliga fixtures, FC Bayern Munich would not currently be certain of top spot going into 2013. In fact, they would be just five points clear of the Royal Blues. However, a dip, or as Schalke hope only a blip, in form has seen Huub Stevens' side slip down the standings, dropping eight points with just one draw in their last three matches. "We want to win, we owe it to our fans," said Stevens. "The lads need to free their minds and recuperate. We haven't picked up as many points as we would have liked, so of course we’re not happy with the current situation." Klaas Jan Huntelaar will not be so happy with his current return either. Although the Netherlands striker has found the back of the net in each of Schalke's last two matches, his tally of five goals for the season pales in comparison with his haul of twelve at the same stage of last term. However, according to Stevens, Schalke’s recent woes are down to a collective collapse and not individual errors. Stevens is refusing to entertain any talk of a crisis, though: “When things are going badly, you’ve got to show your faith in people. We haven't scored enough and we're conceding too many, so of course we've had a lot to think about, but nobody is running away from the truth and now it’s up to us to eradicate our mistakes." While Schalke’s form curve has veered downward of late, Gladbach’s is on the rise, much to the delight of coach Lucien Favre. Only four points now separate the two teams in the table thanks to the Foals’ 2-0 win over Wolfsburg in midweek. "We have 20 points and that is more than okay,” said Favre. "We're happy." 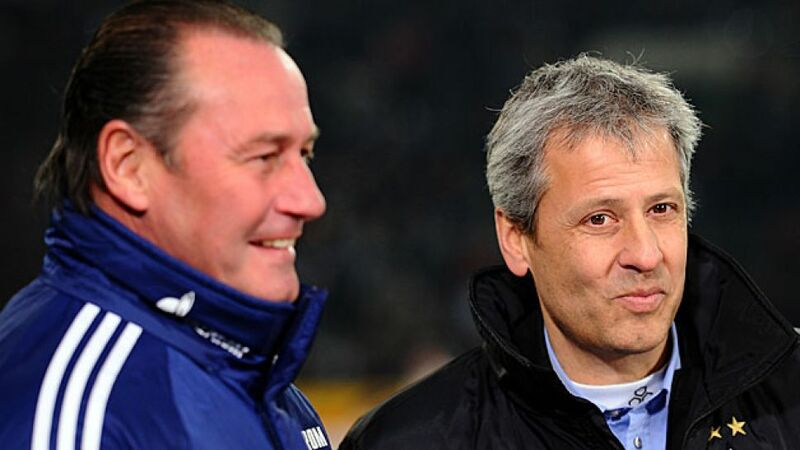 They would be even happier with a further three points over Schalke, but Favre knows that will be a challenge. "Schalke may have lost in Hamburg, but they have [Julian] Draxler, [Joel] Matip and [Lewis} Holtby, so it’s going to be difficult. We need to play the way we did against Wolfsburg - with a lot of composure on the ball, aggression and fight." For Draxler and Holtby, Favre has Juan Arango and Havard Nordtveit, both of whom stole the limelight in midweek. Juan Arango’s goal was one for the scrapbook while Nordtveit was involved all over the pitch. “It was his best game since I have been coach in Gladbach," enthused Favre of the Norwegian. "He's playing with a lot of self-confidence and is making progress. I'm very happy with him." As for Arango’s cracker: "That was goal of the month, or maybe more..."